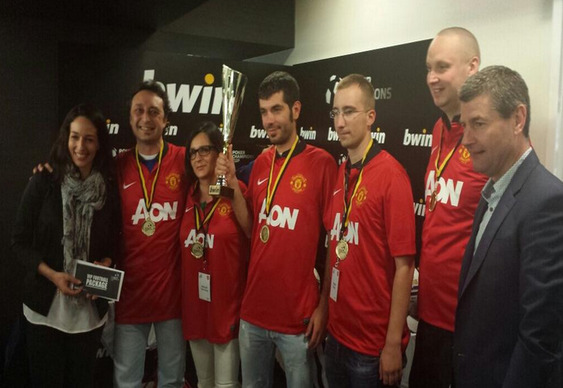 Manchester United win Champions Cup – in Poker! It's been a season to forget for Manchester United but they do have some silverware to put in the Old Trafford trophy cabinet. The victory came in the PartyPoker Poker Champions Cup. Staged at Juventus Stadium, the tournament pitted a United line up against representatives from Marseille, Anderlecht, Juventus and Champions League finalists Real Madrid. Former United and Republic of Ireland full back Denis Irwin led the Red Devils to victory, beating teams featuring footballing luminaries Enzo Scifo, Stefano Taconni, Manuel Amoros and Rafael Martin Vazquez. "We may have not had a lot of success this season but we persevere and this was a good win,” said Irwin. "Hopefully the football team can get back to winning ways next season."